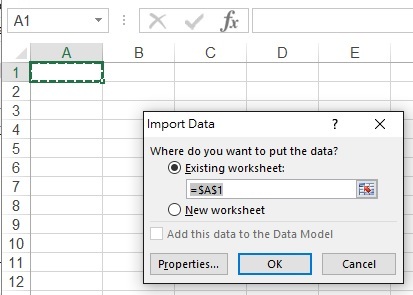 Excel allows you to create an external connection to website where you can get the data directly in the spreadsheet. 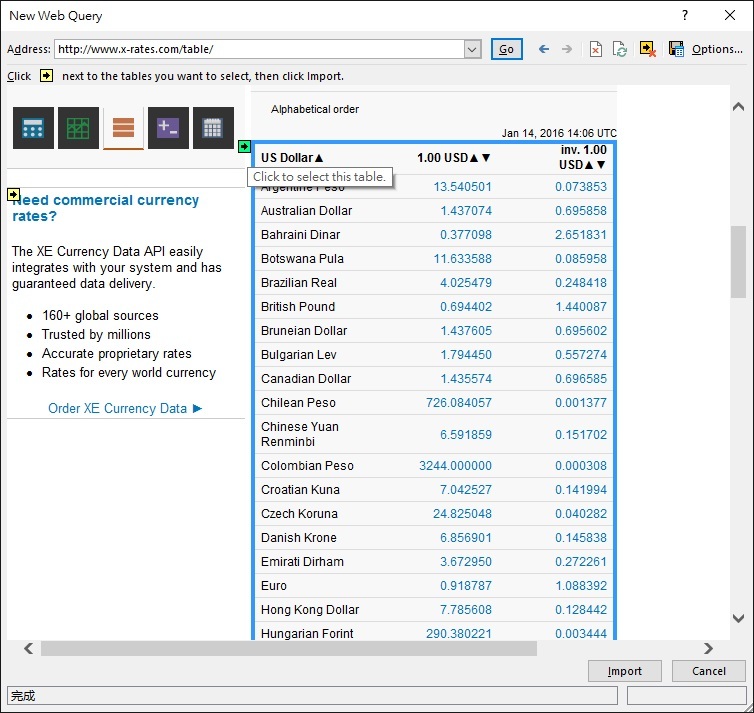 To begin with, look for a dynamic website that contains foreign exchange rate where the database constantly refreshes. Some people like using Yahoo Finance, but I personally believe Yahoo may change their interface more often and it may destroy the Excel connection. Anyway below is a link. 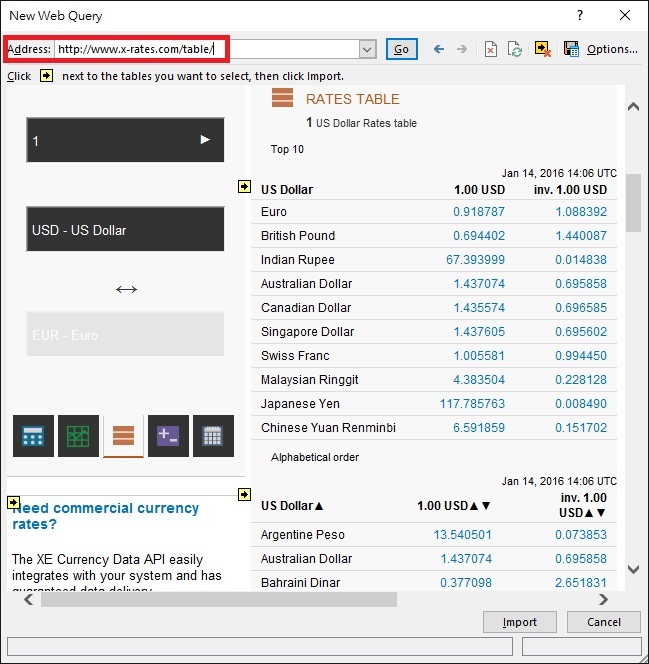 The yellow arrows you see are the tables you can import into Excel. Click on the on the yellow arrow (it will turn green), then press Import button. 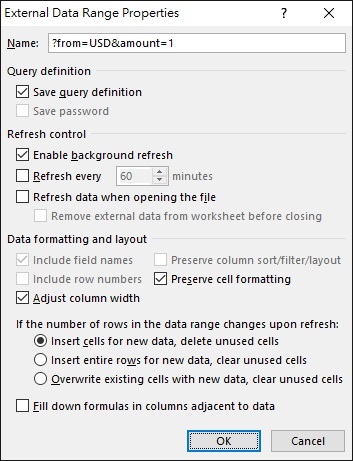 In this Properties box, you can set how long the Excel table will refresh and get the latest data from website. Yahoo Finance is designed in the way to facilitate you to get data. 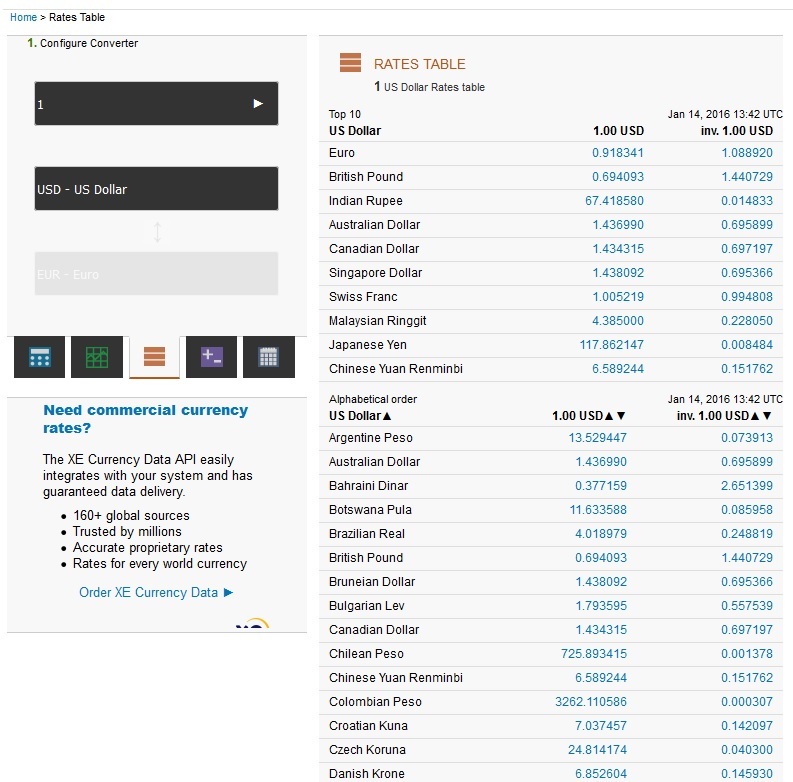 This time we establish a connection to Yahoo and directly get the exchange rate using User Defined Function. Insert a Module and then insert the below code. The required code is simpler than you ever think. 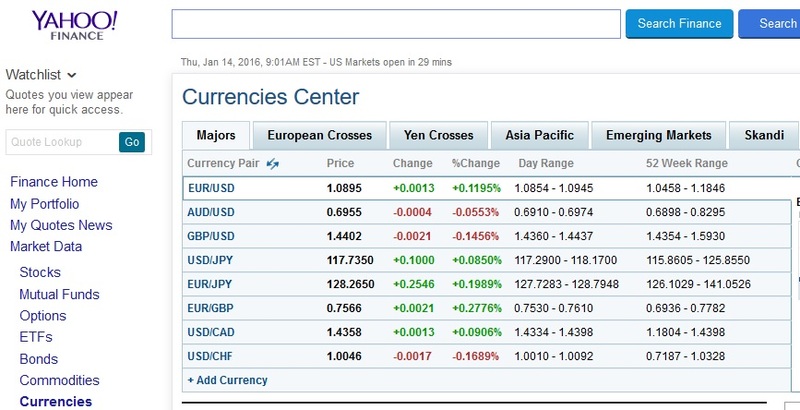 yahooHTTP.Open "GET", "http://download.finance.yahoo.com/d/quotes.csv?s=" & currency1 & currency2 & "=X&f=l1"
Before you start, check yahoo finance what the currency codes they use for exchange rate, such as EUR, AUD, GBP, USD. 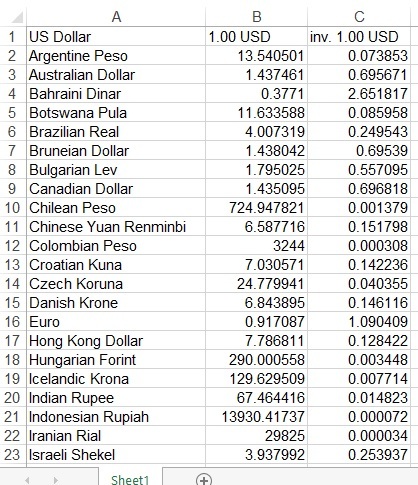 In the below worksheet, column A and B are the currencies you need to convert. 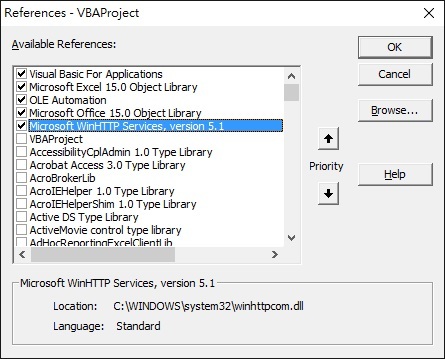 Column C is the formula of the result of column D.
This VBA Function has a limitation that you cannot refresh the result at specific time period. Instead, you can consider using Application.OnTime, Application.Volatile or worksheet change event to refresh the formula indirectly.